As China changes its trade laws, the economic world is responding. 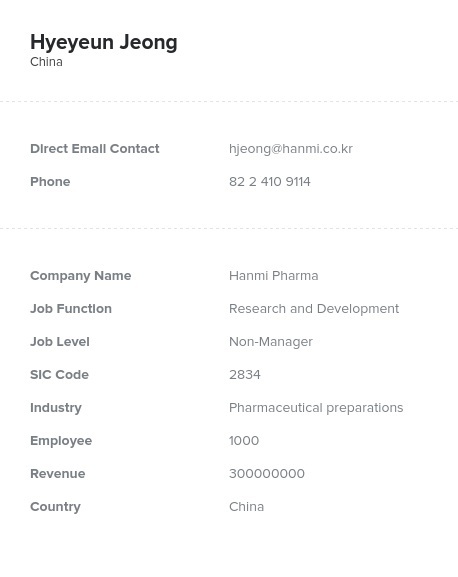 You need this Chinese email database to make sure that your company is talking to the right Chinese decision-makers. Don't waste time and get left behind: Get this China mailing list today. When you need to buy email leads in a dynamic marketplace like China, you need to make sure that you will get an email address list you can rely on. When you purchase email lists from Bookyourdata.com, you will get the precise contact information you need make B2B contacts with any type of company in Beijing, Shanghai, Chongqing, Guangzhou, or anywhere else in the country. We know how quickly business mailing list information in a place like China can change. That is why when you purchase a China email list from us, we take the time to verify that the list is accurate. We check the information in each of our lists regularly using both automated processes and human authenticators to make sure that your China email database is going to put you in touch with real decision-makers and not dead ends. We have built our reputation on creating quality business lists, and we know that our Chinese mailing list will meet your needs. Your success in China starts with our verified China email list. You can use our business contact list to cultivate the B2B relationships you need to grow your business. Contact Bookyourdata.com and get your marketing campaign started with an accurate Chinese email database right now!